Hon. Steven Cohen (ret.). - Mediator & Arbitrator based in Santa Monica, California. If you’d like a list of available dates for Steven Cohen, please submit a request below. You will hear back directly from Steven's assistant, Marlene. JUDGE COHEN is an expert in Real Estate standards of care, property management, broker's and agent's duties, Construction Defects and State and Federal areas of Discrimination, FEHA, TITLE VII, ADA, etc. As a FINRA panel arbitrator, Judge Cohen is also experienced in Probate matters, Trustee and Beneficiary issues and specializes in financial elder abuse cases. He has an MBA with a major in Finance and Economics, has a Real Estate Broker's license with a "Realtors" designation and additionally holds two Contractor's licenses. JUDGE COHEN has over 30 years of experience as a neutral in mediation and arbitration. Over the past three decades he has served as a neutral for the Equal Employment Opportunities Commission (EEOC), Department of Fair Employment and Housing (DFEH), Department of Insurance (DOI), Contractor's State License Board (CSLB), US Postal Service (REDRESS), Security and Exchange Commission (NASD and FINRA) and the L.A. Superior Court both as a Mediator and Case Settlement Officer. 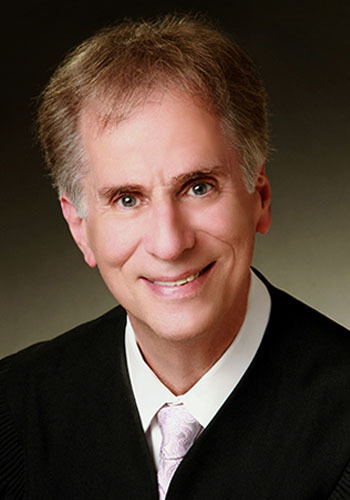 JUDGE COHEN was appointed as an Administrative Law Judge an spent six years with the Ingwood Office of Appeals hearing employer tax matters and unemployment and disability appeals. He has also assisted the courts as a "730 Expert" providing valuation in Real Estate. In the private sector JUDGE COHEN has focused his practice in the areas of Probate, Real Estate, Property Management, Discrimination and Construction Defects and contract disputes. He is a Past President of the Southern California Mediation Association (SCMA-2002). JUDGE COHEN has taught Arbitration, Mediation and Negotiation on the graduate, undergraduate and Corporate level. In the PROBATE arena JUDGE COHEN not only mediates and arbitrates probate matters, but also successfully had the 2nd District Court of Appeal overtturn the lower court's confirmation of an arbitration decision -- something that is rarely accomplished. With JUDGE COHEN's background as a Realtor and his experience as a "730 Expert" for the Courts in real property valuation and property damages he is well versed to address Trustee and Beneficiary disputes without the need for outside experts. His cases primarily focus on fiduciary duties of Trustees and beneficiary disputes. JUDGE COHEN is also a Public Arbitrator for FINRA, previously known as the National Association of Security Dealers. In the Real Property arena, JUDGE COHEN is a qualified expert in real estate standards of care and duty for brokers, agents and sellers with a special focus on disclosure and fiduciary duties, commmercial leases, CAM (Common Area Charges) and property management. JUDGE COHEN holds two contractor's licenses and served as a senior arbitrator for the CSLB for 20 years. He is well versed in all aspects of construction disputes and is a qualified expert in the construction defects arena. JUDGE COHEN volunteers as a panel Arbitrator for FINRA (Financial Industry Regulatory Authority), previously known as the National Association of Security Dealers. Many cases involve inheritance and claims of improper investment by broker-dealers and/or attorneys. Under the FINRA rules, arbitrators are compensated with an honorarium. Santa Monica Bar Association. Member and past president, Southern California Mediation Association. Received special recognition in 1995, 1997, 2002, 2003 and then LifeTime in "Who's Who in Business Professionals and Executives." Panel member on the AAA Affilate Mediation panel. $600 per hour with a four hour minium.